Brighton’s KINS have been a regular feature here on S/S/N and, since we added them to our ones to watch chart back in January, we’ve been eagerly awaiting new material from the fourpiece. Today, in a move Britain’s least convincing victim of crime Jai Paul would be proud of, they’ve dropped an unexpected load of four new songs to their Soundcloud. There’s no news as to whether these tracks will be part of an upcoming release or whether they are just demos but, for now, we’re content to sit back and let them sink in. 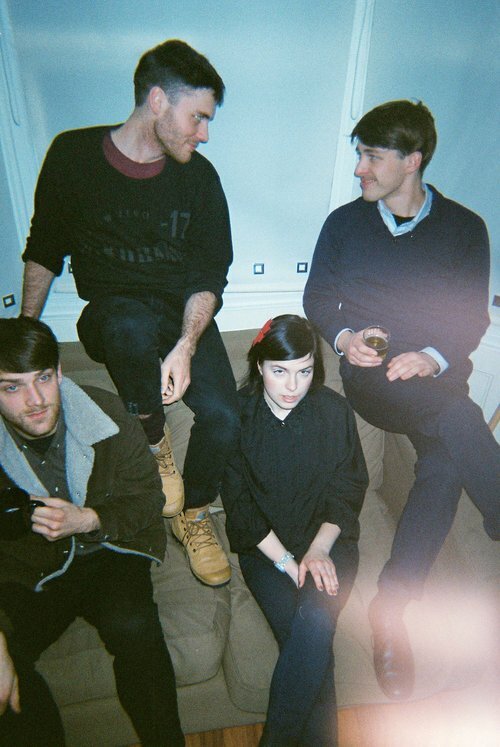 Although the brooding intensity of January’s ‘Top & Turn’ demo is sorely missing* the tracks, which feature vocals that sit somewhere between CYMBALS’ uncomfortable falsetto and Foals’ yearning whine, once more demonstrate the band’s eclectic influences and undeniable talent for fusing sprightly instrumentation with apocalyptic lyrics. The second track ‘Aimless’ ends with an extended lounge solo that Destroyer would proudly put their name to and, throughout the four songs, KINS make it clear they’re far from short of ideas. Its probably unhealthy to compare the tracks to Top & Turn which is, indisputably, one of 2013’s masterpieces so for now we’ll just conclude by affirming, once again, that this little crew are one of the best British bands -independent or otherwise- and should, as such, be on all of your radars. *We’ve just given this a spin on decent speakers and, when torn away from the tinny inconsistency of my macbook’s tweeters, we can assure it’s far from lacking in the intensity department. Bliss. It acts immediately on all your garage concerns as quickly as possible. redwood or plywood. Search the safe for some more credits before you go. on the two male models, who’ve appeared in National Fitness Magazine, the” Abercrombie Quarterly”,” Playgirl” and Vista Videos.